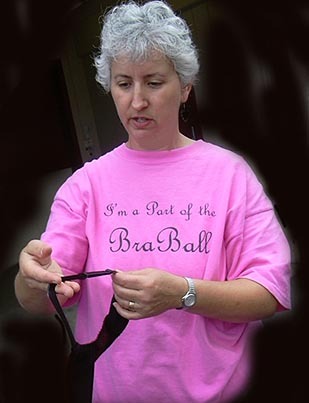 Help offset storage and transportation costs for The BraBall, by purchasing teeshirts, pins, and postcards. Additionally, 10% of all sales is donated to The Breast Cancer Fund. sizes XL, and 2X only. Postage is included in the United States. If ordering from outside the U.S., please add $5.00 U.S. to your order total to cover shipping costs. Allow three weeks from order date for delivery. 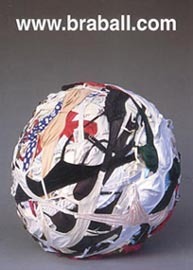 Thank you for supporting The BraBall sculpture project and the fight against breast cancer.